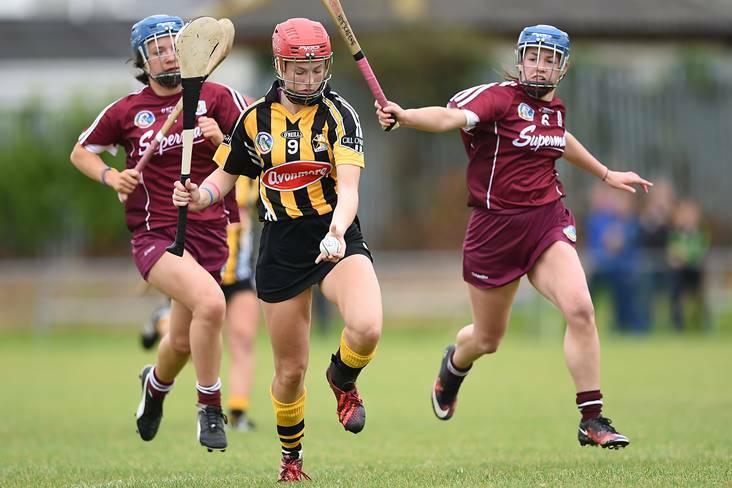 Kilkenny kept their All Ireland quest on track by overcoming Galway in the semi-final of the Liberty Insurance All Ireland Senior Championship in Semple Stadium. This game was a battle of the defences and although Anna Farrell received player of the game, a mention must be given to Edwina Keane wearing number 22 and a late inclusion after superstar Miriam Walsh was deemed to have failed a fitness test. Keane was immense in the second half. The game was a let down from what we had expected tactics aside the quality was poor with both sides especially Kilkenny not firing and thus the first half was rather flat. Galway opened the scoring through their free taker Carrie Dolan before Kilkenny responded with three on the bounce to lead 3 to 1 after 15 minutes. Within that time Kilkenny may have had a couple of goals had the final passes being more in sync, however it was Galway who were the liveliest, but Kilkenny’s defence held firm. Denise Gaule had some bad wides while the battle between Katie Power and Heather Cooney was the highlight of the opening half for us. This was a key matchup as Galway were leaving themselves open if Power broke the tackle and took off on a solo run. This did happen, but little scores came out of it and after 30mins the score was 4 apiece. Kilkenny then moved 2 clear before half time with Player of the game winner Anna Farrell involved in both points taken by Katie Power and Julieanne Malone. Just after half time Galway levelled up the game as Carrie Dolan and the very impressive Ailish O’Reilly took the game to Kilkenny for Galway. Indeed, Miriam Walsh who didn’t start was summoned down from the stands to warm up as Galway scored again to move 7 points to 6 up with 40 minutes played. Instead of kicking on, Kilkenny dug their heels in and Juliane Malone drew the sides level once again before some remarkable defending by Edwina Keane lead to a wonderful move that lead to Katie Power finding the net to give Kilkenny a three-point lead going into the final 10 minutes. Kilkenny looked like the team we have come to know once Miriam Walsh came on and within seconds had won a free that lead to Denise Gaule slotting over to make it 1-08 to 0-07 with just under 10 to play. Meghan Farrell seem to have sealed a nice margin of victory but for a late rally from Galway with a Rebecca Hennelly penalty that left just 3pts in it with time up. Galway tried but failed to come up with the goal needed and Kilkenny march on to September where Cork await. As we said in the interview with Shelly Farrell afterwards it wasn’t a classic, but Kilkenny won’t mind semi-finals are there for winning not making into a spectacle. Galway on the other hand can be proud of their performance and under manager Cathal Murray are going in the right direction. I’m not sure Kilkenny will be as off form again and maybe this was a massive chance for Galway missed.